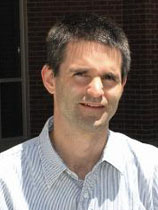 Dr. Reid joined the Department of Mechanical Engineering in 1993. Prior to UNL, he had eight years of experience at General Motors, and four years teaching experience at GMI Engineering & Management Institute (now Kettering University). Dr. Reid specializes in nonlinear finite element analysis applications with a special interest in roadside safety and automotive crashworthiness. He has had more than $34 million in research funding while at UNL, has published 141 technical papers (81 of which are refereed journal papers) and has 24 U.S. patents.